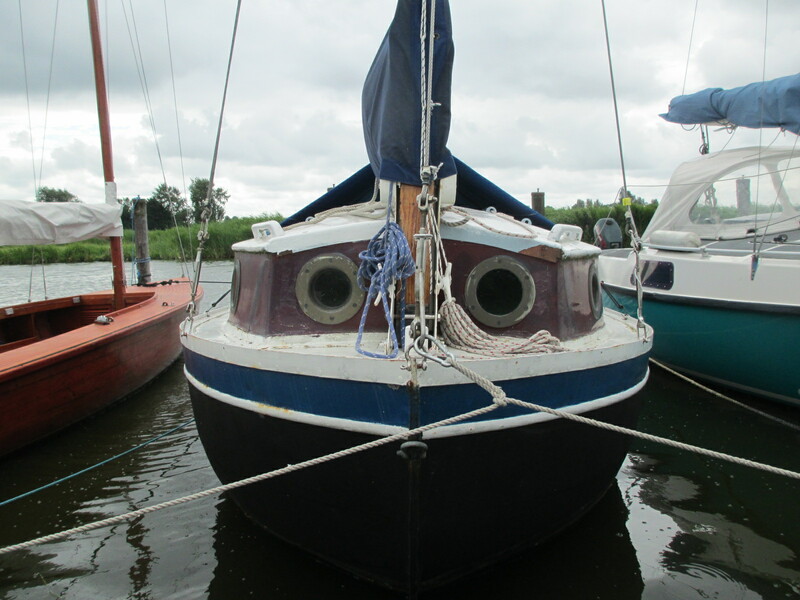 Last year a friend bought this boat,a nearly 5 meter Catboat steel hull and wooden superstructure. Doesn’t the character pictured above make you smile and make you feel joyfull for a moment? Some of it’s history has been preserved (link catboat club Holand). It is one of a series of 5 and built around 1930. After some changes in ownership, she is now owned by “Captain Frans”. Below the boat in it’s current glory. Some necessary repairs to the steel and woodwork were recently done and they were surprisingly simple; This boat is particularly well build, whatever needs replacing can be easily done without sacrificing the originality. The intent with this gem is making it into a working daysailer. 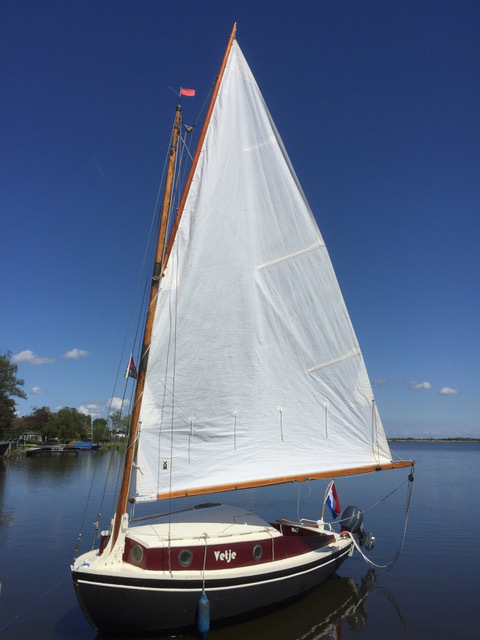 With 20m2 canvas (2 reefs) she has plenty of power to keep up with cruising sailyachts. As a flat hulled keelboat she doesn’t turn on the spot, yet tacking is surprisingly evident. Equally evident are the benefits of her shallow draft; access to shallow water and care-free falling dry in tidal water. Hang on, “Care-free falling dry in tidal water”; Would this be a valid contender for the 2019 edition of La Semaine Du Golfe? It would! … if we find an affordable way to get her there and back. And no before you think, sailing her to Vannes France and back to Amsterdam Holland is not an option. The indispensable outboard disfigures the boat, but with the rapidly advancing development of electric propulsion, this Cat will undoubtedly celebrate its 100th anniversary with a discrete electric motor on board. (Central heating, hot- and cold running water, room service and minibar? one has to be believe in the future).